Bed sweet bed, I’m in it and loving it! 9 hour turn around but another one is done! Had an amazing doctors check that showed that the fixed/attached tumor is now much more moveable. This is GREAT progress and the doctors were elated at this. Today’s side effects slowly creeping in including numbness in the finger tips and this weird blue patch (3 1/2″ by 6″) under my chin and down my neck ,. Almost like a bruise but all blue with jagged edges. 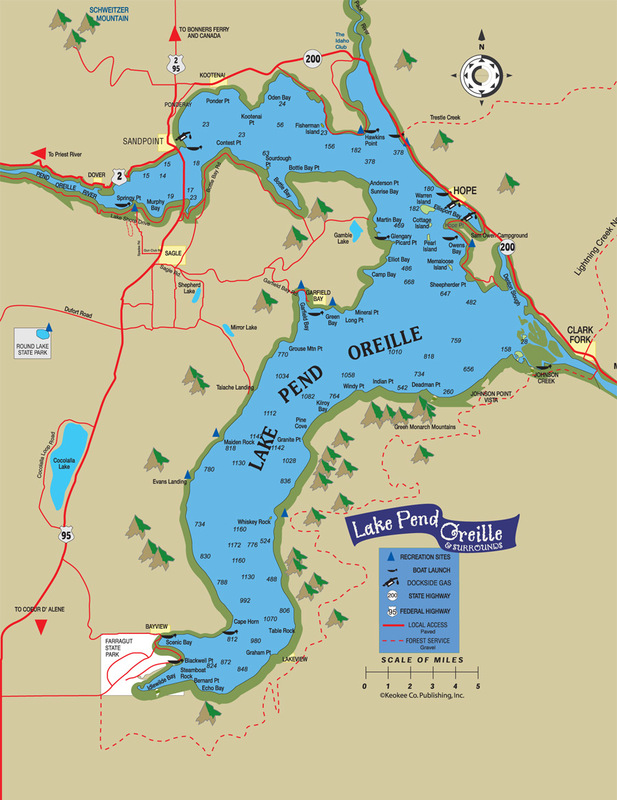 The only reason I bring it up is because it is shaped like Lake Pend Oreille the lake in Idaho that has my heart. I confirmed with Miranda and she agreed big time. The doctors told me to mark the edges with a sharpie and check it for change in the AM. So now I have the lake, 8 black marks and 2 gauze bandages, can you say “hot mamma”? The day was long. Lots of traffic to and fro, total time at the hospital was about 6 hours. God sent the perfect person to assist me, my dear friend Terry (Being my driver made her day 1 1/2 hours longer than mine) She had the stamina and calm and experience and stories and so much more. My neighbor/friend, Bob, brought me Yellow roses and homemade Chicken Parmesan. Such a sweet wonderful thing to do as I was unable to make my dinner last night due to the watermelon. Hows that going you ask…Well after 4 stool softner tablets, 2 doses of Miralax, I called my nurse sister, Elizabeth and told be to drink a concoction they call the Zebra (4oz Prune Juice 30cc Milk of Magnasia warmed up), “never fails” she said . Miranda rushed to Safeway and I gulped it down with glee. At 4:00 am that Zebra wanted to run! Thank God! Thank God! I was told to never ever ever be constipated again. I was to take as much stuff as needed to keep things moving along. Lips are starting to tingle. Blessed by so much love, call, posts, texts today Thank you from my heart all the way down to my numb left toes. I agree with Tara. You are incredible! Your humor in the face of what you are going through is amazing. I love you too! I concur with all my other sisters herein…you ARE brilliantly humorous & pray that will continue for you. Laughter is medicine and as long as you can laugh we know you’re takin’ your medicine! I LOVE this “blue folder” thangy. And most of all to be able to checkin on you whenever is spectacular. Ain’t technology grand?! Love you oodles & gobs dear one. Really excited about the tumor moving – progress! Sometimes progress is so slow that you don’t even see it so this is great! We are thinking of you and so happy that you have such good support from your friends down there! Was another snowy day at Schweitzer. We’ve received a lot of good publicity this year, Rand McNally (you were here for that one), now CNN has named Schweitzer one of the best undiscovered ski towns in the world! Seems to be helping as Schweitzer was busy even during the week this week. Snow still on the ground at home but it’s due to get warmer by tomorrow. More good progress in that the MRI showed dead tissue, yippee. They said the tumor was bad in that is was fast growing but also good in that they would be able to see progress right away which helps keep your treatment moving along fast and in the right direction. Glad to hear good things for Sandpoint, it really is the best small town (And community) in America. I pray for the small businesses there, show em the money. Your progress is exciting! Movement is always a good thing as you found out last week. You are an amazing person! Your positive attitude will beat this thing. We are all blessed to have you in our lives!